Many people can benefit from hiring a qualified financial planner. They can help you create a plan for today, and tomorrow. 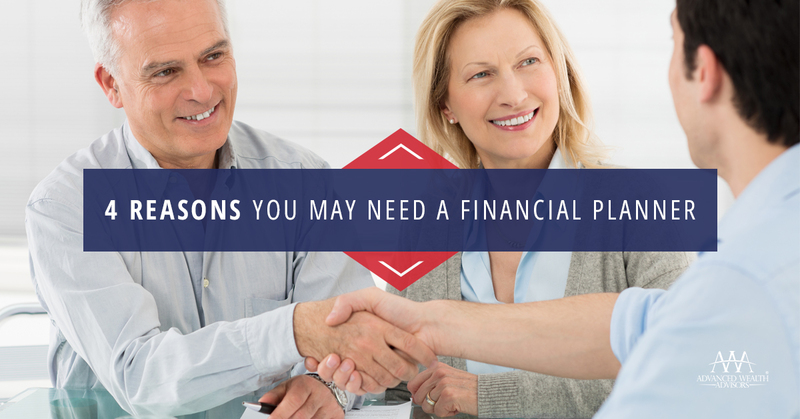 Whether you’re in the wealth accumulation, distribution, or preservation phase of your life, speaking with a financial planner will likely help you determine a plan that’s right for you. The earlier one starts, the better. Albert Einstein once said, “the most powerful force in the universe is compound interest.” By starting early, and allowing your investments to grow over a long period of time, you can take advantage of the benefit of compounding. This is especially true if you have income-producing investments that allow you to reinvest your dividends or interest. There’s an old saying that goes something like this – you’ve worked hard to earn your money, your money should work hard for you. If you have money sitting idly in cash and you would like it to work for you, you should sit down with a financial planner and come up with a long-term investment plan. Different investments are appropriate at different times of your life and it will also depend on your goals and your risk tolerance. Are you at the stage of your life where you need to start drawing income off of your nest egg? If so, a qualified financial planner can assist you in creating an investment and retirement plan that takes into account your income needs. Your income goals, risk tolerance, and time horizon should be considered to develop a plan specifically for you. As retirees get older, they focus more on preserving the capital they have remaining. This is both for themselves and for their heirs. Nobody wants to run out of money. It is often advisable as people age for them to become more conservative in their investments. A financial planner can discuss with you how your plan may need to change as you age. Are you looking for a qualified financial planner in Naples, FL? Our firm was founded by Soren T. Christensen, a Certified Financial Planner™ professional with over twelve years of financial planning experience. Click here to request a consultation. We are a comprehensive financial planning firm that creates custom financial plans that will give you confidence and peace of mind. Your financial advisor will represent you as a fiduciary, dedicated to put your best interest first at all times. Our financial planners are fiduciaries, dedicated to act in your best interest when they provide you financial advice. We take our time and listen to you, creating a financial plan that addresses your unique concerns, needs, and goals. Would you like a free financial planning consultation? We’ll put together a comprehensive financial plan that will give you peace of mind. Request a consultation with one of our financial advisors today. Copyright 2018. Advanced Wealth Advisors, LLC. 4099 Tamiami Trail N, Ste 402, Naples, FL 34103. This material is for informational purposes only. It is not intended to provide any financial planning advice or recommendation. Please consult a qualified financial planner before making decisions about your personal financial planning situation. Advanced Wealth Advisors, LLC, does not offer investment advisory services or fixed insurance products. Investment advisory services are offered through Advanced Wealth Asset Management, LLC, a Registered Investment Advisor in the State of Florida. Fixed insurance products are offered by and guaranteed by the stated issuing company. Our representatives can be compensated on a fee basis, commission basis, or both depending on the scope of the client-planner engagement.